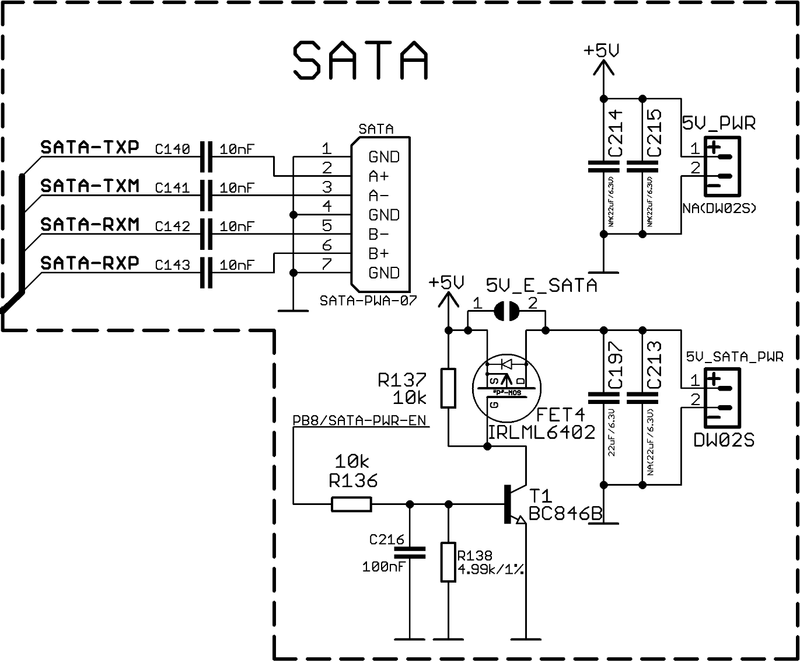 The schematic for my Rev.E board show that the SATA 5V is switched by an MOSFET with part number FET4. 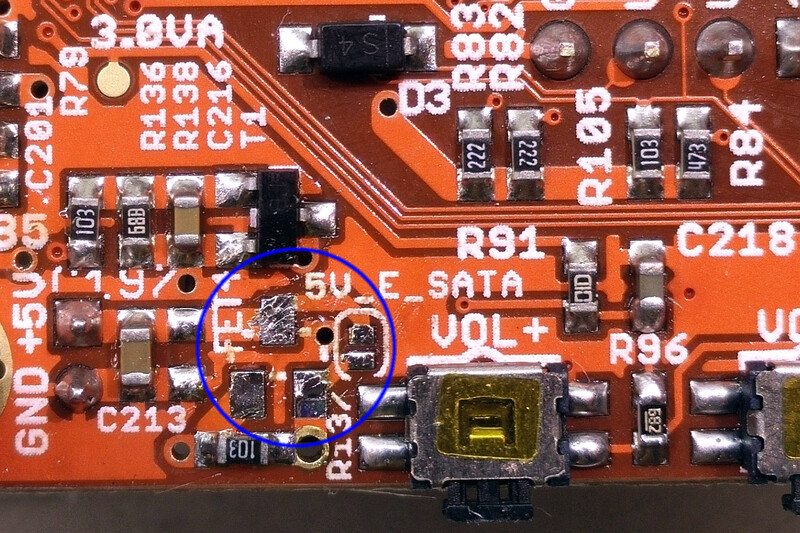 Removing FET4 was pretty easy. 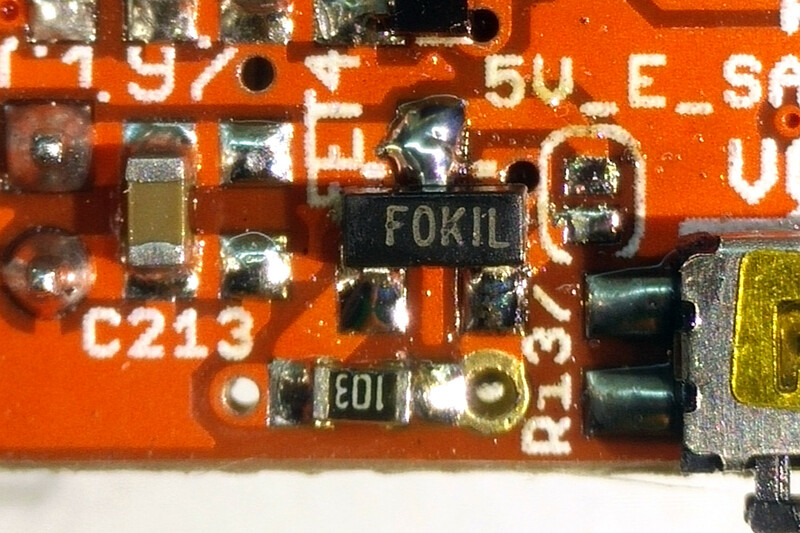 I then cleaned up the solder pads with solder wick and flux. 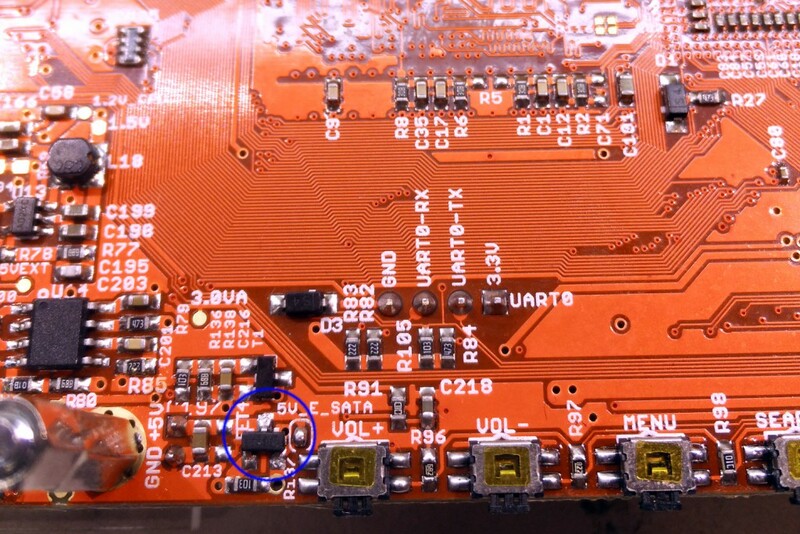 It was not perfect, but the pads were flat enough to receive the new FET. After that, the A20-OLinuXino-MICRO worked perfectly like before.